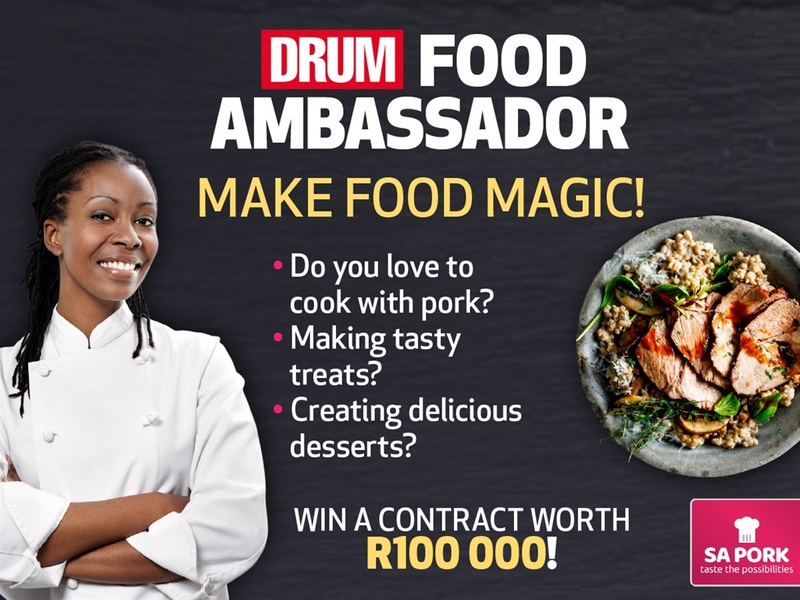 It’s the opportunity of a lifetime – the chance to be DRUM’s first Food Ambassador, working for this iconic brand and winning a R100 000 freelance contract. But there are still a few things you might be wondering about before you take the leap to make your culinary dreams come true. We’ve answered all your burning questions – if there’s something else that hasn’t been addressed below, mail us at hydcompetitions@media24.com to let us know. I don’t have any tertiary qualifications. Am I still allowed to enter? You don’t have to have a formal tertiary qualification – just a passion for cooking and being able to create original, tasty recipes you’d love to share. You must be able to write recipes with precise instructions and measurements. Am I allowed to be employed by another company while working as the DRUM Food Ambassador? You can be employed by another company. However, we will have to assess all commitments for the duration of the contract period to ensure there’s no conflict of interest with other commercial partners. Should I physically be in the DRUM kitchen when preparing the dish or can I submit the dish from home? Not necessarily but it depends on whether your environment is suitable for food styling and photography. If your styling technique and lighting meets the required editorial standard you would not need to be in the DRUM kitchen. However, the kitchen is available (depending on your location). It will have to be booked in advance so planning will be key. I would like to enter the competition, but I am working full-time. If I win, do I have to quit my job or I can commit part-time? You do not have to quit your job as long as you are able to fulfil the requirements during the contract period. Is there a possibility of being employed permanently at DRUM after the contract ends? The DRUM Food Ambassador contract is a one-year commitment. If a vacancy arises within the company, you are welcome to apply but there is no guarantee you will have permanent employment when the contract concludes. I am pregnant. Am I still allowed to enter? Will I get paid monthly or per recipe I submit? The competition includes a contract worth R100 000 that will be paid out in portions, as per the submission of the required recipes. The payments are done monthly, upon submission of invoices. Will I be allowed to come up with my own recipes? You’ll need to pitch recipe ideas for each issue as well as the weekly digital recipe and these will have to be approved by the editor and lifestyle editor to ensure they meet the editorial standards and needs. Once you’re given the go-ahead, you’ll be able to proceed with preparing the food and photographing it. Planning and approval typically occurs months before the publication dates. Is there any cash prize money involved besides the R100 000 contract? Along with the R100 000 contract, there’ll be an additional R20 000 prize – portions of which will be paid out monthly with the rest of the contract. My writing skills are average, but I’m a great cook. Will this affect my chances? You don’t have to be a whizz with words – it’s all about getting creative in the kitchen. You must be able to write a recipe with specific measurements and an accurate method. How many recipes will I need to submit? The DRUM Food Ambassador will have to provide one recipe a week for drum.co.za as well as six recipes a month that will appear in DRUM magazine. Some months have five weeks, so you’ll need to provide an extra recipe for our online platform. However, you won’t exceed the required 52 recipes for our digital platforms. What’s expected of me if I’m one of the runners-up? There’s a possibility the 11 runners-up could secure contracts with SA Pork. The details will be agreed upon in a separate contract with the sponsor.